Arched windows could be a blessing or a curse: the dramatic arch provides a key architectural accent in the room, but adding window treatments or creating privacy could be a challenge. 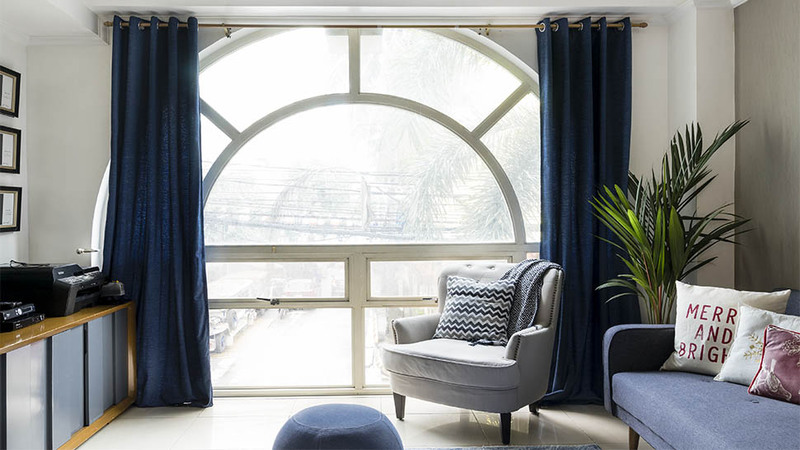 Interior designer Catherine Cena-Yambao is lucky enough to have a home with arched windows, and she decorated her spaces to enhance this feature. “It should be the first thing that would catch attention in a room.” Have a valance customized to fit the arch, and don’t be afraid to use eye-catching, patterned drapery fabric to call attention to the windows. If you want to avoid spending on customized curtains, simply install a curtain rod that runs straight across it, and hang two solid drapes on either side. Do you have arched windows in the bedroom? Position the bed against the arched window so that it serves as a headboard, as well. Not worried about privacy? Then leave the arched windows unadorned, and let its the shape become part of the interior of the room. If you’re not renting and you’re allowed to paint the frames of your windows, further emphasize the shape and arch by painting the window frames in a bold, contrasting color.